I love the smell of books. Just wanted to get that out of the way. When I was a kid I bought a couple of Harper's magazines from the late 1800s at a flea market, and I would bury my nose in them to inhale that spicy, musky, mold-laden scent of biblio antiquario. We're olfactory creatures, after all, emotionally stimulated by smells, and books often greet us with their own unique bouquet of paper, glue, dust, and other hard-to-define but instantly recognizable whiffs that stimulate memories of reading things we loved. But in nearly every discussion of Ebooks and Ereaders (eBooks and eReaders? E-books and E-readers? Can we settle on this, please? ), the ardent dead-tree bibliophiles bring up the book smell. "Does an iPad smell like a book?" The smell argument is usually followed by "Can I feel the pages as I turn them? Can I put it on my shelf and display it? Can I read it while taking a bath?" And so on. My novel is currently making the rounds in NY, and more than anything I want to hold that future book in my hands in all its dead-tree glory. I want a beautiful and appropriately sinister cover with my name in big, bold type, and I want to see that cover on the table of selected titles at Barnes & Noble, where it will grab the attention of my legions of future fans. I want to sign hundreds of those books with a Sharpie. I want to hand one to my kids and tell them, "Look—Daddy wrote this" (though I won't let them read it until they're of the right age to separate the dark stuff within from their non-scary father). I want to walk into someone's house and see that bad boy on the bookshelf. I love books as objects, and I don't want them to ever go away. And they won't. But since I bought my first ebook on my iPad, I realize that the world has changed. Dramatically. And there's no going back. I understand the reticence to jump aboard the bandwagon. Many of us define ourselves by books—we're readers. We're writers. I have my first volumes of The Lord of the Rings that I once carried in a backpack and read in an old army tent on a Boy Scout trip, by flashlight, while daddy-long-legs spiders crawled above my head and occasionally dropped onto the pages. Those books have traveled with me over the years as I went to college, hopped from apartment to apartment, and they currently sit on my bed's headboard shelf. The pages are falling out and the spines are as wrinkled as Methuselah, but I wouldn't have it any other way. They are talismans and holy relics. But I also read things that are more transitory. Software manuals that become outdated within a few months. Fast food "beach reads." Novels I read long ago and want to re-experience, but not necessarily repurchase. In short, despite my love of books, I read a lot of stuff that doesn't need to take up permanent residence in my home or require the death of a spruce, fir, or hemlock. Any dramatic shift in technology is met with resistance. And that is natural and understandable. There are plenty of well-known and widely discussed problems with an electronic book: How do you share it? How can you show off your exquisite literary taste to others on the subway without a visible cover? What happens when your Kindle breaks in the middle of vacation? How do you find exciting new material in a market glutted with crap and websites that treat each work as equal? How do I as an author sign a copy of something literally made of nothing? How will bricks-and-mortar bookstores survive—and, more importantly, will they? But I'll let you in on something: I'm reading a lot more now that I have dozens of books in one little device that I carry everywhere. And a couple of weeks ago I took a handful of my unpublished short stories—some of my favorites that weren't selling or stretched typical genre confines or were just too freaking weird—and cranked out an attractive ebook in less than a day. It's certainly not going to make me rich, but those stories were not being read by a soul and now a dozen or so people have purchased the collection, including a few who just found it randomly browsing online. It really is an indie revolution in the making, and that's exciting to me as a writer and a reader. Dead-tree books will not go away. But their numbers will decrease. 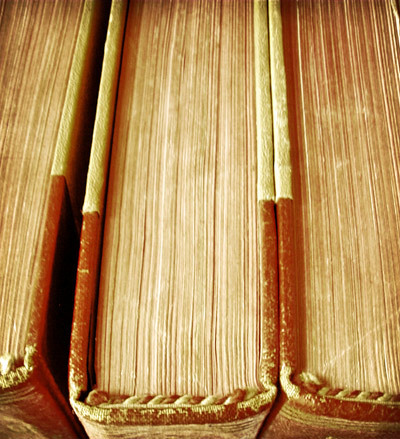 Traditional publishers are freaking out—with good reason. Their industry is undergoing the most dramatic shift in its existence. Many people have speculated that books as physical objects will become like vinyl records—manufactured by, and collected for, aficionados and die-hard nostalgics. I agree, to some extent. Given the choice, I'd rather read a hard copy of Dr. Seuss's The Lorax to my kids in all its ironic dead-tree glory than watch them swipe through the enhanced iPad version. I can't imagine iconic religious texts, like an old family Bible stuffed with photos, letters, and locks of hair, being replaced by a searchable eBible with optional scrapbooking module. The market for books-as-objects will never go away, though many new books—especially popular novels and nonfiction—may never appear as ink on paper. The transition from pulpwood to electronic is happening faster than anyone anticipated. Book smell isn't going away, but you may want to inhale extra deeply to help you cope with the future shock. I have a battered copy of The Lord of the Rings trilogy that smells absolutely delightful, redolent of musky tents, basement mildew, and pained adolescence—I'd be happy to loan it to you if you need your fix.